We went out for lunch today and hubby met up his old friend that he wasn't able to see for almost 6 years. He is also in the military and we went on post to pick him up. We went to a chinese restaurant to have lunch. They're glad they saw each other. His friend is only here for training and will go back to his assigned post in July. They're very loud talking to each other, I am telling you. But glad they saw each other. After lunch we went to Tacoma to get parts of our CPU. The fan of our CPU is not working and everytime I turn it on I will smell something burnt inside. So we have to get a new fan before it catches fire. Then we passed by Babies r us and bought clothes for our tiny one. I also saw that they have the light stroller that I have been meaning to buy online. The price is lower than the one I saw online so I went ahead and bought it. We headed home before our little one will get cranky. 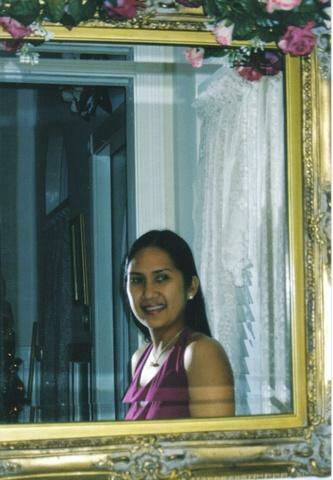 A proud Pinay, contented wife and a doting Mom to two adorable girls; already acclimatized living here in the US of A; but still enjoys learning new things everyday. Are You Drinking From Water Bottle?